The parish church is St Margaret of Antioch. The Domesday book records that there was a Christian presence in the village and it is awe inspiring to remember that we are part of a Christian presence that stretches back over many centuries. The church tries to run a wide range of services and activities to try and meet the spiritual needs of villagers and visitors. There has been a church on the site of St Margaret’s since about 700AD, when the first Saxon church was built beside the ancient road which went from Oxford to Leicester. Many generations have worshipped there and enjoyed the beauty and peace of the present building, much of which dates from the late 12th/early 13th century. Sadly, these days, for many people regular worship has come to mean every Christmas and/or Easter. As each year passed, the fabric of the building had been getting more and more in need of urgent repair. The stonework of the tower had started to crumble and five of the windows had become in such a poor state that, without remedial action, they would have had to be boarded up. It has been estimated that £500,000 would be needed to repair the tower and the windows and this was a very daunting prosect for the worshippers. A project was set up to look at ways to get help with this restoration work. 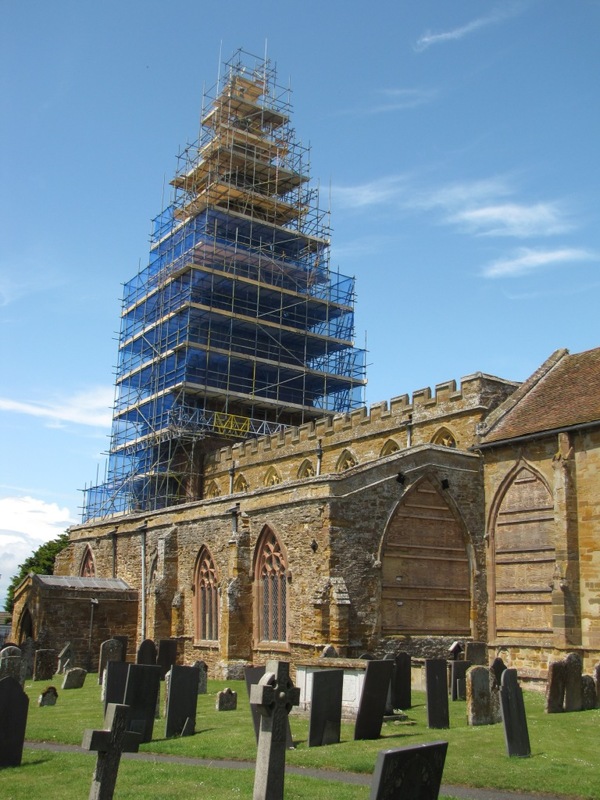 Thanks to a large grant from English Heritage, work was able to start on the tower and four windows in May 2011 and work should have been completed in November of that year. For a number of reasons, it now looks like completion will be at the end of December 2012. St.Margaret's is part of the United Benefice of Crick, Yelvertoft and Lilbourne , which means that three villages share one vicar, the Revd. David Lake. The Benefice is in the Diocese of Peterborough www.peterborough-diocese.org.uk. Visit Benefice Services and Activities to view all the church services and activities in this Benefice. The three churches newsletter is a monthly publication of news and events in the three churches in the Benefice.